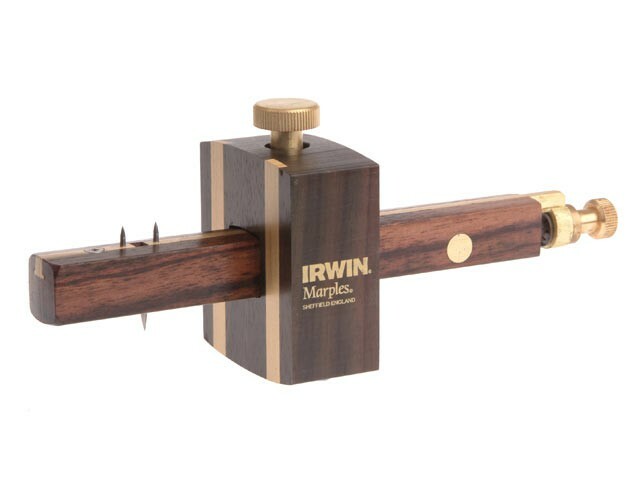 IRWIN Marples 2154 Combination mortice and marking gauge made of sealed rosewood with a brass pull slide to adjust the extra spur for use as a mortice gauge. The knurled brass thumbscrew is used to secure the stock. Has brass facing strips and a thumbscrew adjusting slide.